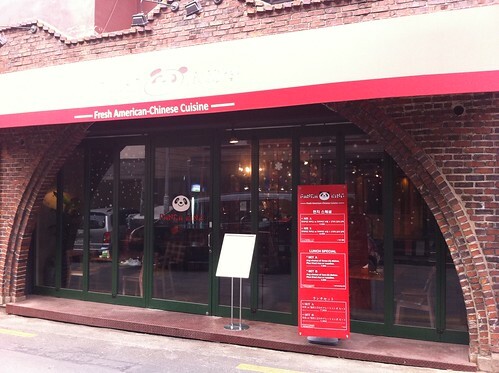 I've been a tad too busy to scout round the new restaurants in Itaewon over the past couple of months, but yesterday I had a little spare time and decided to investigate Panda King, a new place serving "Fresh American Chinese Cuisine". They seem to be aiming at the budget market with their canteen style lunch specials. For just 5,900 plus tax you can get a choice of two dishes plus fried rice or noodles. For 7,900 plus tax a choice of three dishes... I went for the cheaper option and picked the Kung Pao Chicken and the Sweet and Sour Pork with Vegetable Lo Mein. For the lunch special you queue up at the kitchen and then pick your dishes from their hot trays. I arrived just after 1.00 and most of the trays were less than half full and unfortunately my food was a little cooler in places than it should have been. 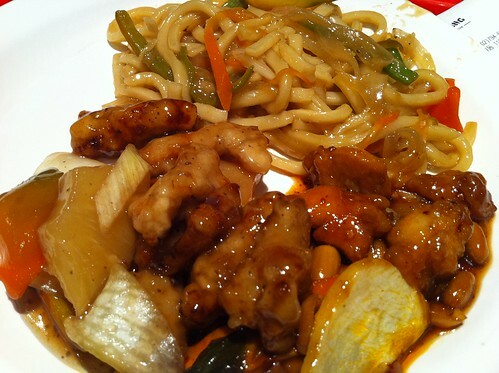 Cold Chinese has never been a favourite of mine, but Panda King's product tastes ok. Nothing special, but for this price I wasn't expecting gourmet cuisine. It's a fast and cheap option for those without much cash to spare and they seemed to be doing pretty brisk business when I was there. 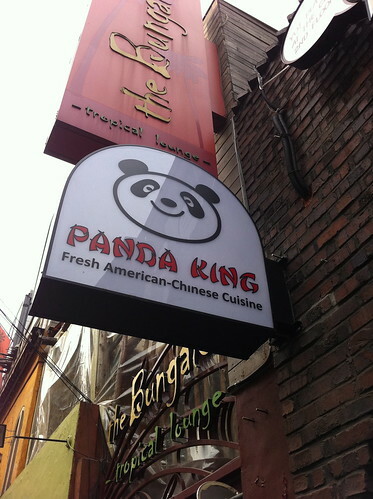 You can find Panda King behind the Hamilton Hotel opposite Chakraa and the Smokey Saloon. Call them on 02 794 6888 if you fancy a cheap taste of "Fresh American-Chinese Cuisine".